Self Rescue if you’re kite won’t re-launch? Land your kite on your own without assistance? If the answer is “yes”, is that because you learnt it in your initial lessons but have you even done it since? How many years have passed since you last tried? The fact is modern kites fly so well that the need to self rescue is a distant thought for most people. In my first 2 years of kitesurfing I probably self rescued a dozen times, and probably had friends drag my kite in, whilst I swam, a handful more. Kites 6-7 years ago just weren’t that stable, they fell out of the sky all the time and getting them back out of the water could be herculean effort. 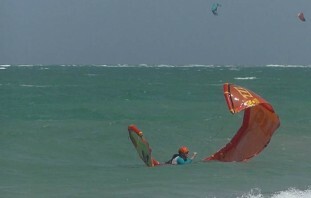 Now take my girlfriend, Fi, she’s been kiting for two years and never had to self rescue. She can vaguely remember how to self rescue but honestly if she got put in the position where the wind died and she was 1/2 mile offshore she wouldn’t really know what to do. And that kind of freaks her out. So yesterday we did some emergency drills on the beach. Walking out in the shallows, let the kite release on the safely line and then going through the procedure to recover the kite and how to then drag back in. Pretty standard stuff really and not what you would think as being alot of fun but Fi was beaming afterwards. The confidence that the 30 minutes of practice has given her will make her a better kitesurfer – she’ll not have the panic when the kite won’t re-launch; if the wind might start to lighten, she won’t be the first back on the beach; and she’ll be more confident to kite in new places where not everything is common place. Landing the kite on your own is another drill we went through, once again something she should know, because at some point she will have to do it and chances are it won’t be a mile long stretch of silky soft sand with no one in sight. Yeah she needs to practice in a few other places and the unknown will always complicate matters but atleast she’ll now give it ago and be safer to herself and other beach users. 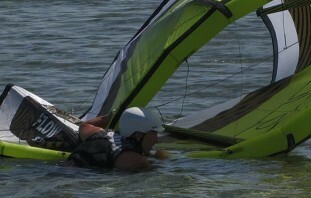 Yeah, we all want to learn the good stuff – maybe its riding upwind, our first jumps or riding toeside, it may even be you’re learn handlepasses – but can you self rescue? Can you land your kite safely on your own? Really sure you can? 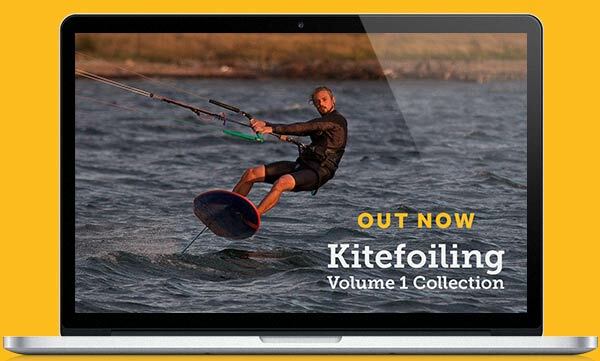 Next time its not windy enough to kite or its too gusty, why not grab a more experienced friend and get them to give you a few tips, and in return you will be a better kiter, you’ll understand your kite a little bit more and that toeside riding or handlepasses might just get a little easier.